Kate Flannery stars in the best running gag this season, and it’s time to honor it. Ever since The Office episode, Lice, where Meredith shaved her head, she’s worn a different wig every subsequent episode. I look forward to it every week! The Office’s Kate Flannery and her partner Scot Robinson perform in ‘The Lampshades’ (“America’s favorite dying lounge act”) tonight at iOWest in Hollywood. 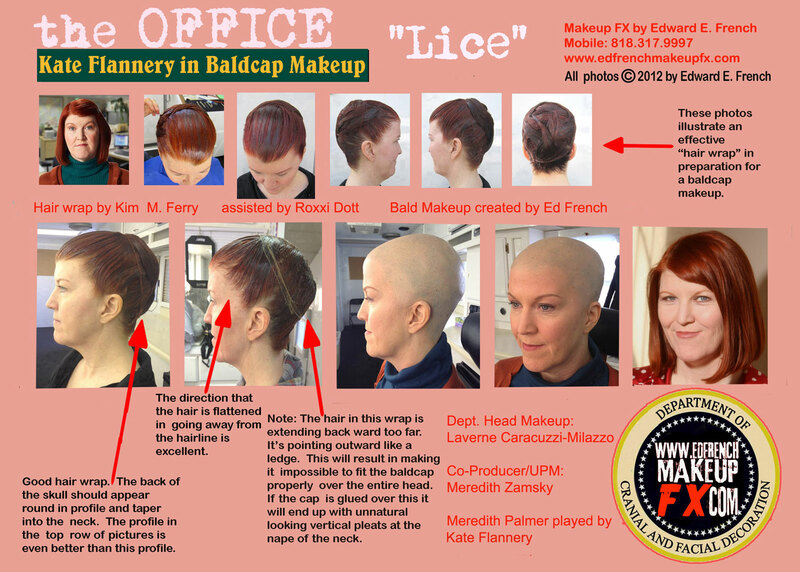 In The Office episode, Lice, Meredith Palmer shaves her head to avoid getting lice. Posted with permission from Edward French. See more at http://edfrenchmakeupfx.com.